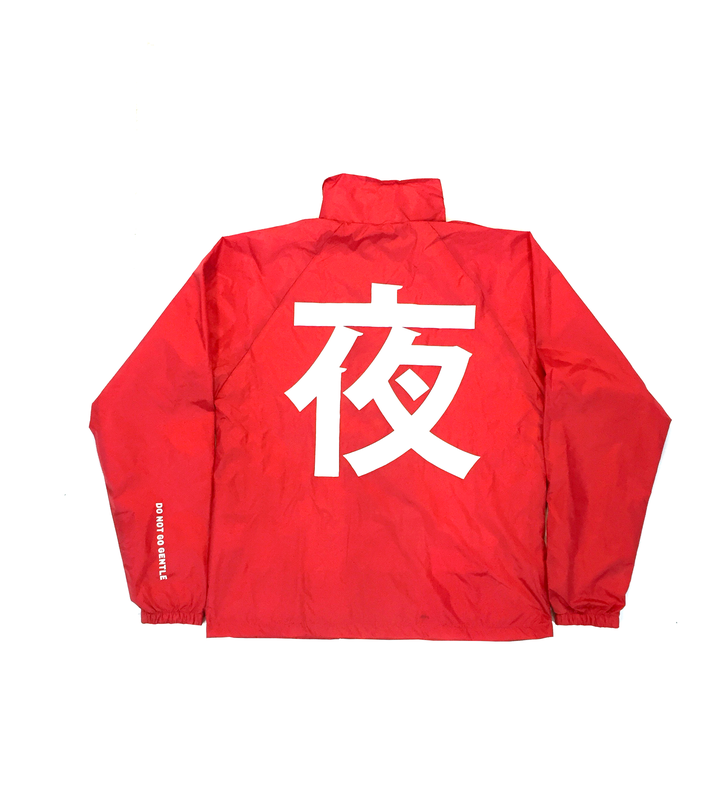 This is a polyester shell coach jacket, and offers water resistance at a medium downpour capacity. The Kanji on the back means "night". 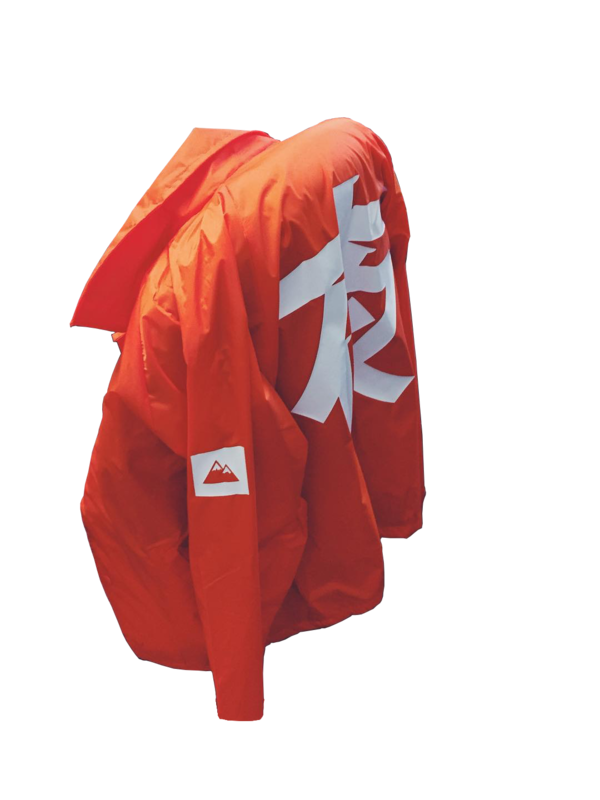 Also available in Orange, Navy, Red, and Black.